Being born as a crossroads, Atlanta was always in a good position for creativity. More and more, research today is verifying what wise people have known for centuries. Where ideas converge, invention and enterprise flourish. It’s not just a gathering process; people exposed deeply to different ideas actually perform more creatively. The combination of divergen25t thinking and convergent thinking that occurs here is tailor-made for innovation and progress. The impact on Atlanta real estate, and particularly on the condos for sale in Midtown Atlanta, is real. Art plays a role in that; you can look it up. The connection between art and economic development goes way beyond speculation, and a Creative Vitality Index (CVI) has been developed that establishes that relationship in both correlation and regression analyses. Listed in several top-10 lists of America’s best arts communities, Atlanta is respected for the variety and quality of performing arts here, whether theatre, comedy, or dance. We are rich, too, in the visual arts, from classic to edgy, from the High Museum of Art– itself a masterpiece of modern design – to the Krog Street Tunnel, connecting the Cabbagetown Historic District to Inman Park. 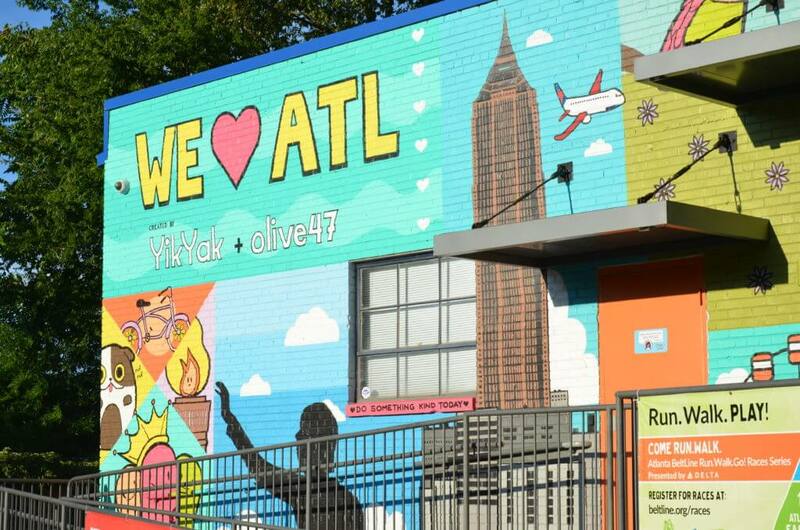 It was a signature Atlanta move that when we hosted the Super Bowl a couple of weeks ago, we included 30 massive murals by 10 local and regional artists among our preparations. This speaks to the scalability and the long legs of Atlanta’s growth in value. Not only is our city based on the strength of a wide range of industries, but we also count among them what might be called a “source industry.” Art is a breeding ground of ideas and passions and skills that can both drive and serve the inevitable changes that come with progress. As an element of the economy, art itself has several advantages, including the fact that it is inherently local – it can’t be outsourced – it attracts tourism dollars, and it activates other elements of the economy such as fashion, cuisine, publishing, entertainment, and digital design – all important elements of the Atlanta economy. For example, would Atlanta have surpassed L.A. in film and TV production dollars if not for the presence of creative people who offer the profusion of skills that movie-making requires? The impact of art and artists includes unexpected benefits, too. Cities with active arts and culture organizations are seen by their residents as safer, for example. Engel & Völkersis known for its own kind of creativity as the Atlanta leader in the sale of residential real estate and new developments. The condos at Atlantic Station, sought-after by entrepreneurs and drivers of the creative economy, are one example. We’ re ready to discuss options for living and investing that range from an Atlanta condo to the most dynamic mixed-use development. Just call us at 404-845-7724or find out more at evatlanta.com.